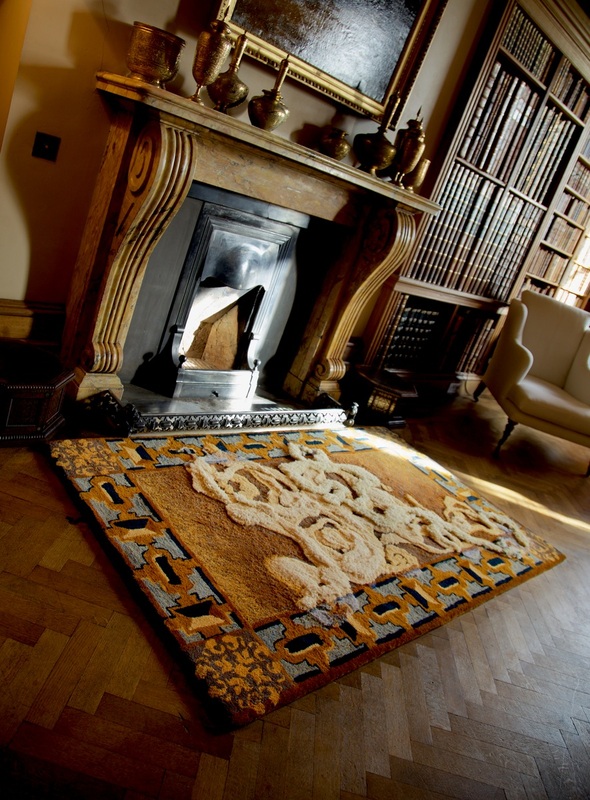 The piece, tufted by Kristi Vana, is a hearth rug depicting smoke and an intertwined Buccleuch & Queensberry family insignia using wool from the Bowhill Estate. Kristi worked closely with Paul Simmons of Timorous Beasties, who was commissioned to design textile inspired by the Victorian room’s original furnishing.The border patterns have indeed been taken from decorative aspects of the room, such as the fire guard and brass-inlayed boxes that have been in the room since its completion in the late 1870s. The Smoking Room can be visited during Bowhill House’s open season (April – September).